Description: In 2007, a signal is detected coming from the Alpha Centauri system. Mysterious, unintelligible data streams in for ten years. Heather Davis a professor in the University of Toronto psychology department, has devoted her career to deciphering the message. 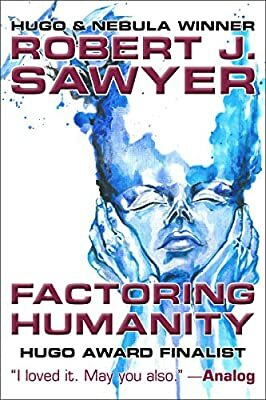 Her estranged husband, Kyle, is working on the development of artificial intelligence systems and new computer technology utilizing quantum effects to produce a near-infinite number of calculations simultaneously. When Heather achieves a breakthrough, the message reveals a startling new technology that rips the barriers of space and time, holding the promise of a new stage of human evolution. In concert with Kyle's discoveries of the nature of consciousness, the key to limitless exploration — or the end of the human race — appears close at hand. This edition includes a reading group guide. ROBERT J. SAWYER has won the Hugo, Nebula, John W. Campbell Memorial, Seiun, and Aurora Awards, all for best science fiction novel of the year. His novels include Hominids, Rollback, Wake, and FlashForward (basis for the TV series).